As discussed in a post last week, the securities regulators of British Columbia, Saskatchewan, Manitoba, Quebec, New Brunswick and Nova Scotia (the "Participating Jurisdictions") have implemented registration and prospectus exemptions intended to facilitate the ability of Canadian start-ups and early stage companies to raise capital through crowdfunding in the Participating Jurisdictions. These exemptions, enacted through local blanket orders (the “Blanket Orders”) in the Participating Jurisdictions, are further to the comments received as part of the consultation held in March 2014 and will expire on May 13, 2020. The conditions related to the prospectus and registration exemptions, summarized below, are outlined in Multilateral CSA Notice 45-316 – Start-up Crowdfunding Registration and Prospectus Exemptions – the Blanket Orders of each Participating Jurisdiction should be reviewed for the precise terms and conditions applicable to the use of the exemptions in such jurisdictions. The prospectus exemption allows a non-reporting issuer, that is not an investment fund and whose head office is located in a Participating Jurisdiction, to issue eligible securities through online funding portals. The funding portals may either rely on the registration exemption contained in the Blanket Orders or they may be operated by a registered dealer that has provided certain written confirmations to the issuer. While issuers are exempt from the prospectus requirement under this exemption, they must produce an offering document in the prescribed form, which contains basic information about the issuer, its management and the distribution, including risk factors, how the issuer intends to use the funds raised and the minimum offering amount. Following the closing of the offering, the offering document must be filed with the participating regulator along with a report of exempt distribution. This exemption applies only if certain conditions are met. In particular, issuers cannot raise aggregate funds of more than $250,000 per distribution and are limited to a maximum of two such distributions in a calendar year. Moreover, no investor will be allowed to invest more than $1,500 per distribution. 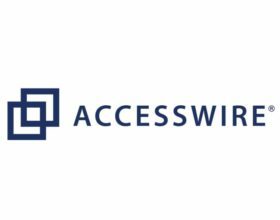 Each investor must have a contractual right to withdraw a subscription by delivering notice to the funding portal within 48 hours of either the purchaser’s subscription or a notification by the funding portal of amendment to the offering document. The funding portal must return the funds within five business days of receiving notice from the investor. The distribution may remain open for a maximum of 90 days. Importantly, none of the principals(a promoter, director, officer or control person) of the issuer may be a principal of the funding portal. Finally, since the exemption is only available to non-reporting issuers, the eligible securities are subject to an indefinite hold period and can only be resold under another prospectus exemption, under a prospectus or four months after the issuer becomes a reporting issuer. The registration exemption permits funding portals with a head office in Canada and a majority of Canadian residents as directors to facilitate distributions under the prospectus exemption without being formally registered, subject to certain conditions. Notably, funding portals must deliver an information form and individual information forms for each of its principals to the securities regulatory authorities of the Participating Jurisdictions at least 30 days prior to facilitating its first start-up crowdfunding distribution. Furthermore, funding portals must not provide any advice to the purchasers and are not allowed to collect fees or commissions from investors. 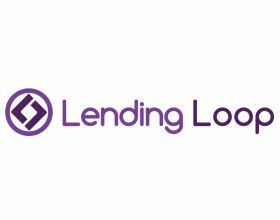 Additionally, the funding portals must not allow a subscription until the purchaser confirms its understanding of the offering document and the risk warning, both of which must be disclosed on the funding portal’s website. Other conditions required by the instrument include that the funding portals: (i) receive payment from investors electronically through its website, (ii) maintain books and records for a period of eight years from the date a record is created (which may be inspected by a participating regulator), and (iii) either release funds to the issuer after the minimum offering amount has been reached and provided that all 48-hour rights of withdrawal have elapsed, or return the funds to the purchasers if the minimum offering amount is not reached or if the start-up crowdfunding distribution is withdrawn by the issuer. A participating regulator reserves the right to notify the funding portal that it cannot rely on the registration exemption because its principals or their past conduct demonstrate a lack of integrity, financial responsibility or relevant knowledge or expertise. 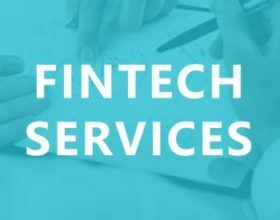 May 28 (Toronto): NCFA Summer Kickoff Fintech Crowdfunding Networking Event! The National Crowdfunding Association of Canada (NCFA Canada) is a cross-Canada non-profit actively engaged with both social and investment crowdfunding stakeholders across the country. 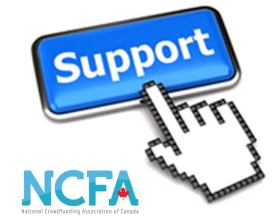 NCFA Canada provides education, research, leadership, support and networking opportunities to over 950+ members and works closely with industry, government, academia, community and eco-system partners and affiliates to create a strong and vibrant crowdfunding industry in Canada. Learn more About Us or visit ncfacanada.org.